Welcome to iFR8.com.au – where you get easy access to Premium Australian Transport & Freight Providers – request their services at one click of a button! Now you have all your quotes, bookings, consignment notes and invoices in one place. Experience the new way of doing logistics. 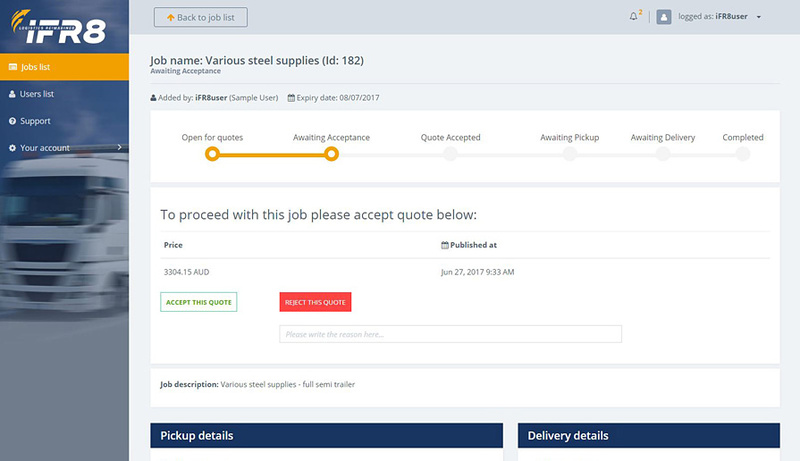 iFR8 is an online B2B platform that allows you to quote and book freight movements with Premium Quality Australian Transport Providers – handling the entire process from start to finish through one central portal. 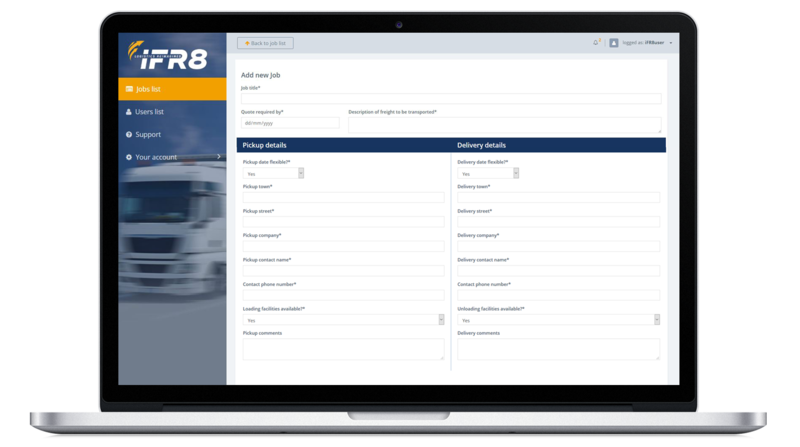 You no longer need to speak to numerous suppliers to manage multiple quotes and jobs – iFR8 will do it for you. It’s a no contract, no obligation, no credit card required self-service portal with a personal touch – the expert team is only a phone call away! We have developed easy to use, user-friendly desktop platform, that allows you to create multiple bookers’ accounts, post quote requests, book jobs, view and download consignment notes and many more! 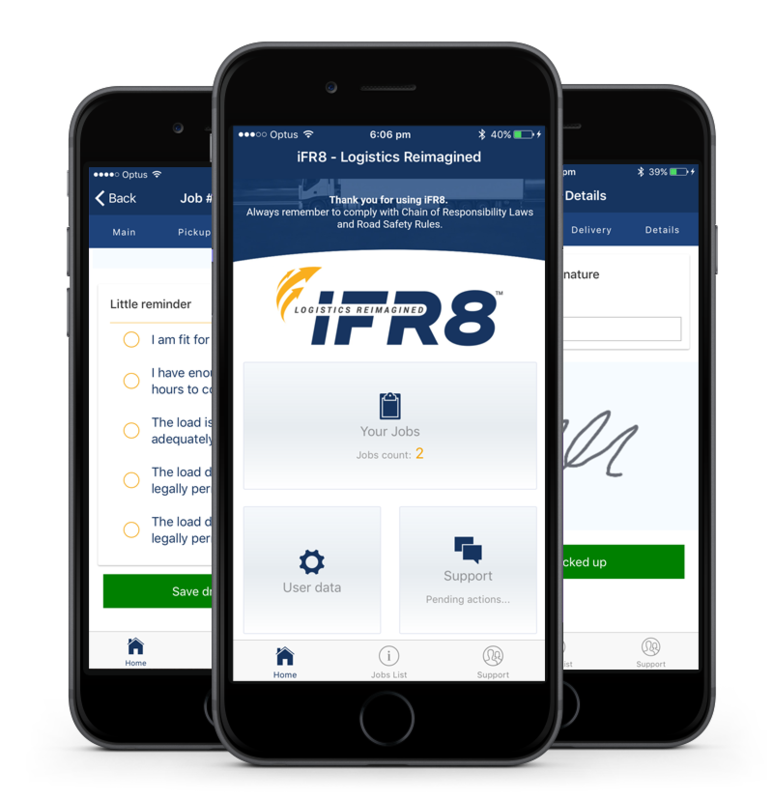 iFR8 Driver’s app allows for a paper-free process. It gathers loaders’ and receivers’ signatures and other real-time information about your freight, making the process quick and transparent. At iFR8 we are constantly improving and developing our Supply Chain Network. We seek collaboration with suppliers of the highest quality, who meet our strict prequalification requirements and who have a proven record of providing ‘beyond expectations’ customer service. Access to a pool of ready-made clients. We don't share your personal info with anyone.